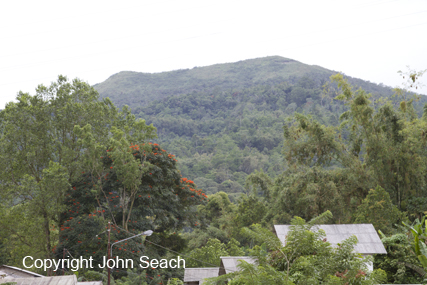 Mahawu volcano is located in a volcanically active region of north-east Sulawesi. Mahawu rises 700 m above the surrounding plain. 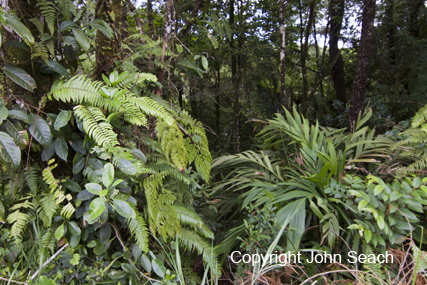 There are two parasitic cones at the northern flank of the volcano. Five eruptions have been reported since 1789. Mahawu is composed of pyroxene andesite. The crater lake in Mahawu cone is up to 10 m deep and reached a temperature of 65 degrees C. Eruptions at Mahawu volcano produced lava, bombs, lapilli, and ash. Landsat aerial photos show 12 cones at Mahawu volcano. Some of the cones have been damaged by eruptions, and some dissected structures have been filled by crater lakes. One month after Lokon-Empung volcano erupted 7 km WNW, Mahawu volcano showed increased temperatures at solfataras and fumaroles in and around the crater lake. Seismic activity increased at Mahawu volcano in April 1987. This was accompanied by an increase in crater lake temperature, and a white plume was visible rising 100 m above the crater. In 1974 a small eruption of mud occurred at the volcano. 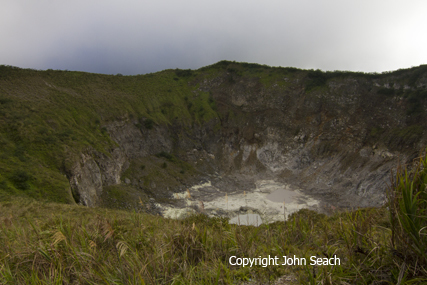 the latest being a 1904 phreatomagmatic explosion from the 150 m deep summit crater. 1977, 1958, 1952, 1904, 1846, 1789, 1788.